This document is issued by the department from where one employee is retiring or is leaving the job. 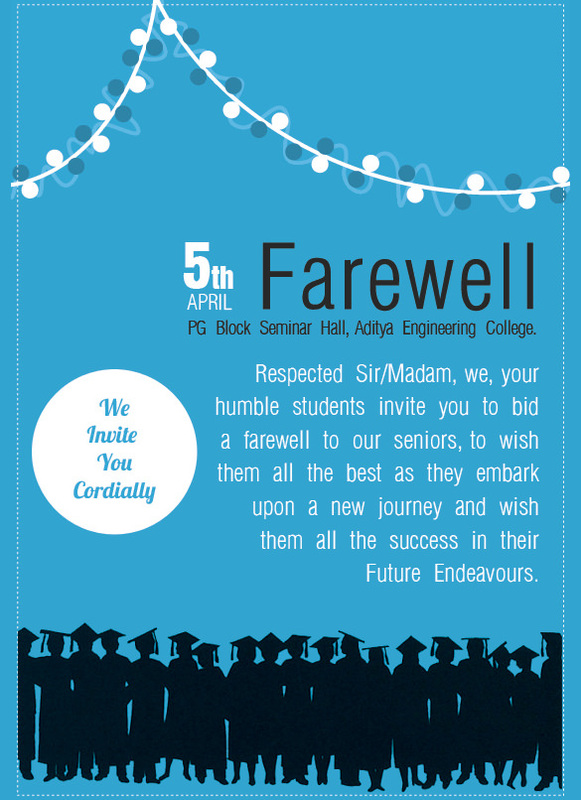 The farewell invitation invites all the members of the management and the team members. It highlights the date, time and venue of the event. The document contains the name of the company, logo and address along with the signature of the team lead of the concerned employee. 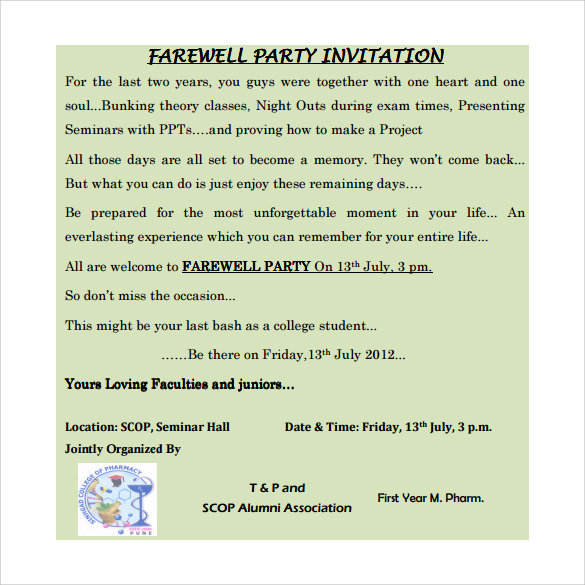 The farewell Invitation Template can be downloaded in both word and PDF format. It can be printed immediately or saved for later use. Opt from interesting collections. This document can be customized as well. If you are in charge of inviting friends and families to a farewell party do it with alluring farewell invitations, because we now offer you some of the best farewell invitation templates. 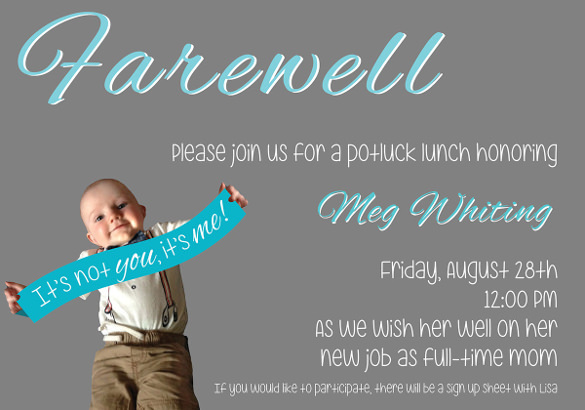 We have a collection of high-quality farewell invitation templates made by professionals and are available for download in word as well and pdf formats. 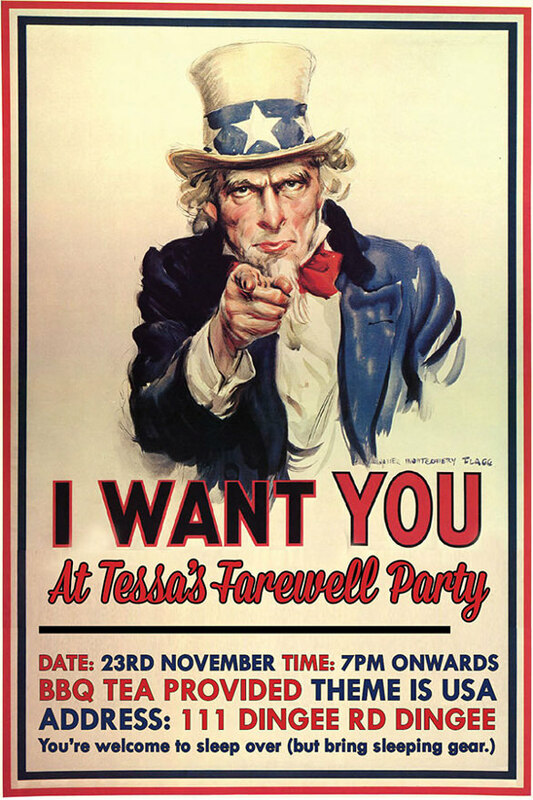 A farewell invitation card is one of the best ways to invite someone to a farewell party. 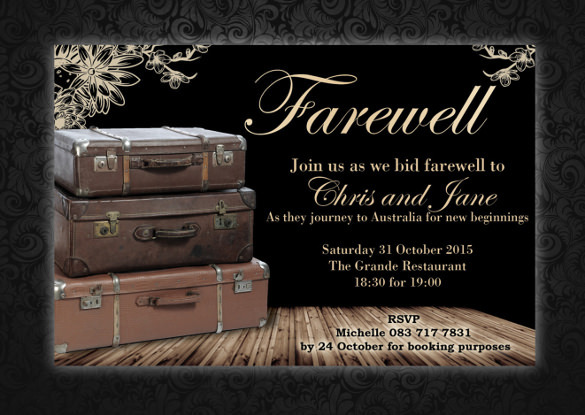 You can now make attractive farewell invitations using the farewell invitation templates examples we provide. We offer you a collection of high quality farewell invitation template examples which you can download in word as well as pdf formats. ‘Simple is beautiful’: Invite friends and families to a farewell party by sending them simple but beautiful farewell invitation templates. We offer you a huge collection of simple farewell invitation templates which are sure to help you in making attractive farewell invitation cards. 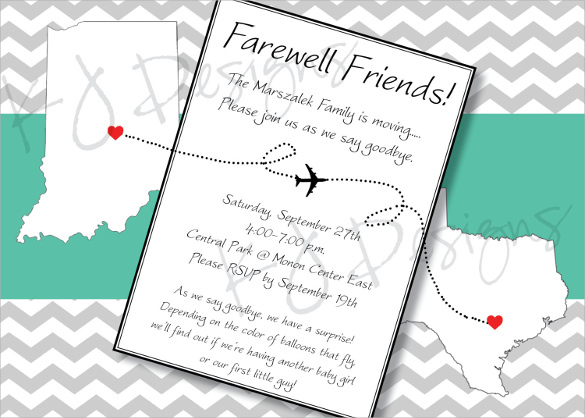 These simple farewell invitation templates are available in word as well as pdf formats.